A MANLY naturopath will travel to Ethiopia to help locals preserve their rich history of herbal remedies before the generations of knowledge are lost forever. 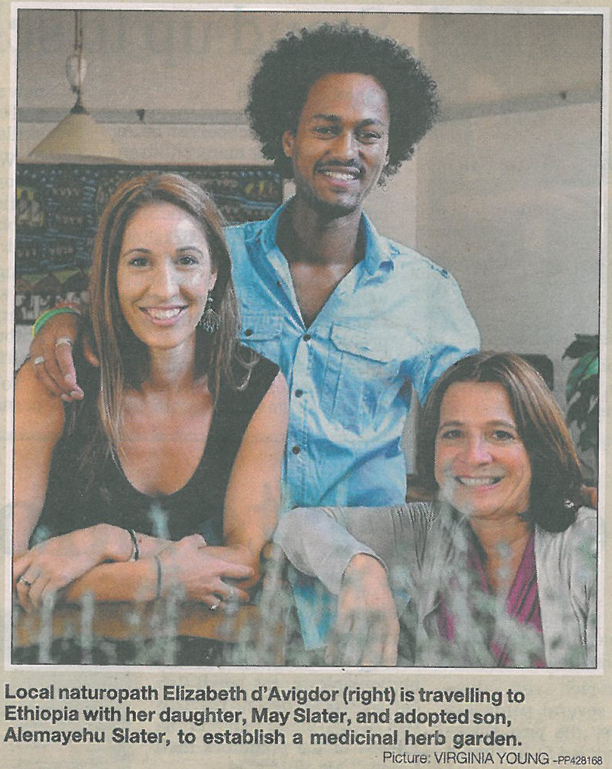 Fairlight resident Elizabeth d’Avigdor, who has been practising in Manly for about 14 years, will journey back to the African nation this week with her daughter, May, and adopted son, Alemayehu. She plans to establish a medicinal herb garden in the rural town of Fiche as part of the Botanica Ethiopia project, with the aid of locals who can pass on their understanding of traditional medicine and indigenous herbs. See the full article here, Page 8.